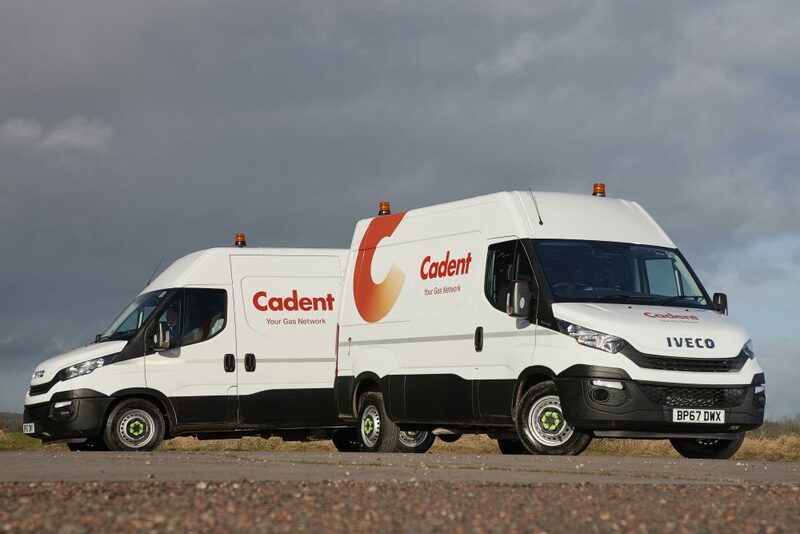 IVECO has delivered the first batch of 255 Daily 3.5-tonne panel vans to Cadent – the UK’s largest gas distribution network serving 11 million homes. 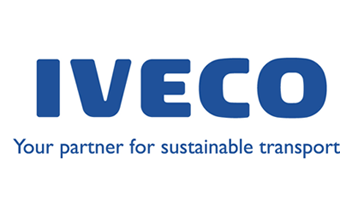 The supply marks a major conquest order for IVECO – with a second tranche of Daily vans to follow during 2018/19. The arrivals, supplied by West Bromwich-based IVECO dealer Guest Truck & Van, mark a two-year commitment between IVECO and Cadent with an option to extend for a further two years. The current order is for the Daily 35S12, featuring 116 hp diesel engines. 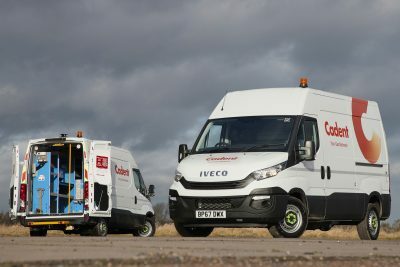 However, Cadent will use the relationship with IVECO to explore using CNG-powered vehicles for future fleet replacements – with IVECO’s gas models forming a key part of the International Van of the Year 2018-winning Daily Blue Power range. The vans are being kitted out with Bri-Stor Systems internal racking and will be self-sufficient mobile workshops with split drive 110v onboard electric and air compressor supply thanks to Winton and Gardner Denver. The vans will be used across Cadent’s four regions in the North West, West Midlands, East of England and North London. They will provide 24-hour, 365 day-a-year support and emergency backup to maintain its gas distribution network – with the Daily’s excellent manoeuvrability helping response teams to arrive on site quickly, particularly in restricted urban areas. The vehicles will each clock up around 24,000 km every year plus around 500 additional hours of engine run time, with the on-board Power Take Off (PTO) being used to drive many of the on-board systems in the cargo area. All vans have also been fitted with reversing cameras to maximise safety, air conditioning for driver comfort, plus a single passenger seat in place of the standard dual bench seat, to maximise free space in the cab and reduce unladen weight. 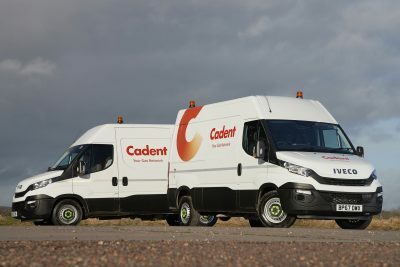 This is the first time IVECO has supplied vans to Cadent and they will be replacing older vehicles of similar size and driveline configuration. The vans will remain in service for five years. Cadent is responsible for half of the UK’s eight regional gas distribution networks. It looks after the pipes taking gas to millions of homes and businesses and connecting new ones to the network.